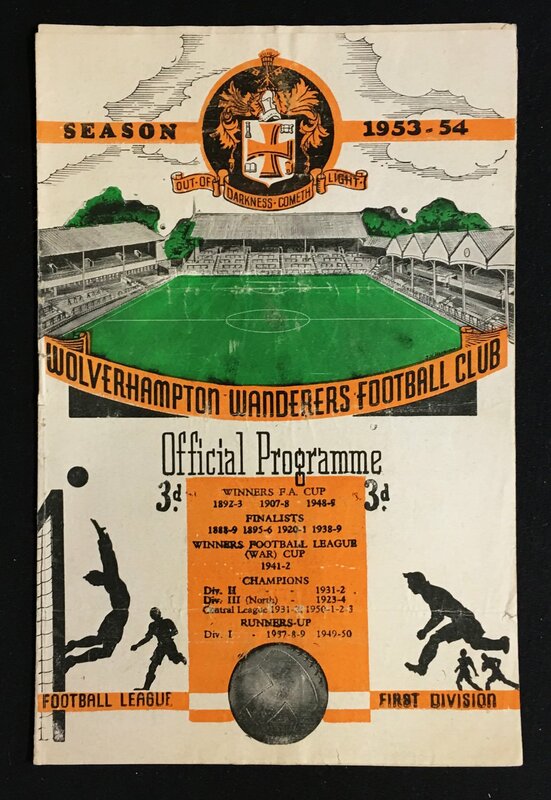 1953/54 Wolverhampton Wanderers Youth v Manchester United Youth football programme at Molineux 26 April 1954, FA Youth Cup Final full programme issue. Fair-Good. 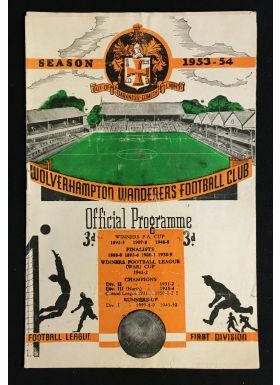 NB: Duncan Edwards (No. 8), Bobby Charlton (No. 9), also Colman and Pegg for United.